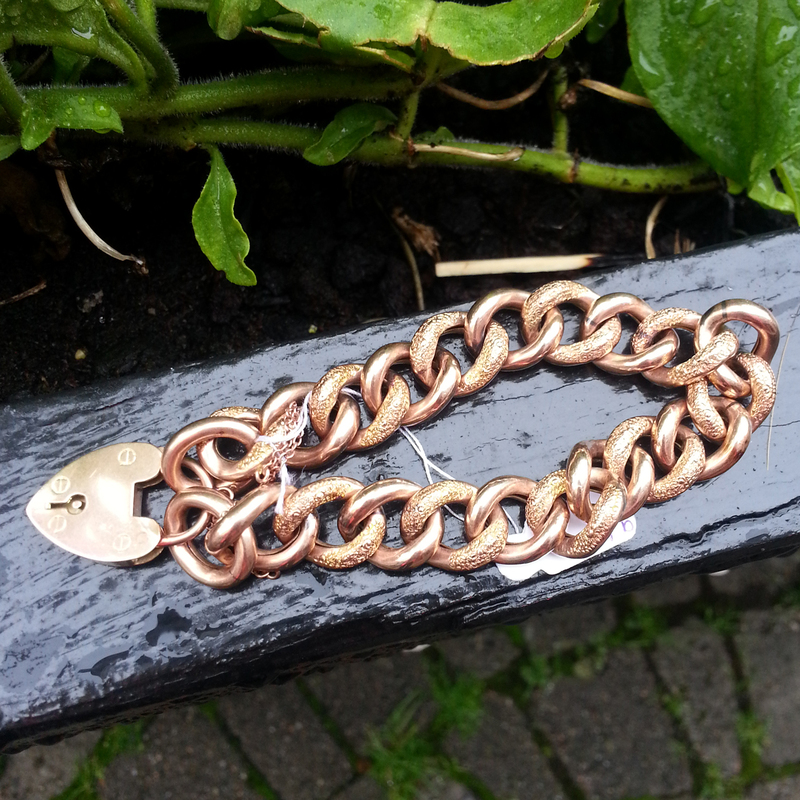 Victorian curb link bracelet in 9ct Rose Gold. 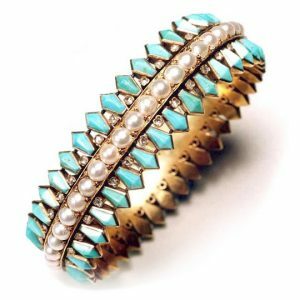 Hinged bangle, central row of seed pearls, flanked on either side with old cut diamonds and spear head shaped turquoise, circa 1870. 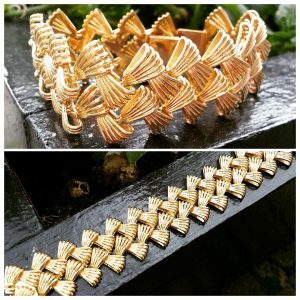 Exquisite Art Deco diamond set bracelet. Fabulous Art Deco diamond and emerald bracelet set in platinum.